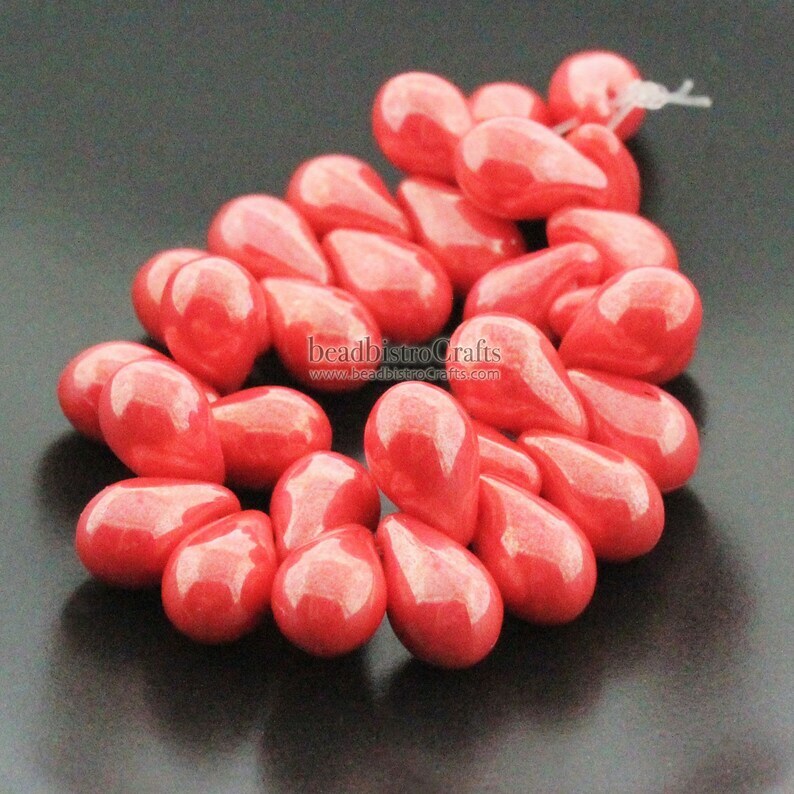 * This color has a beautiful and bright opaque Coral glass, with a subtle White Luster finish. 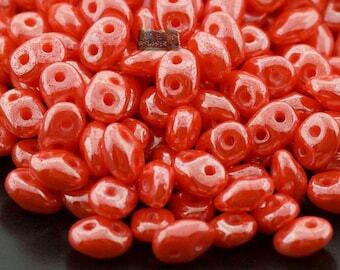 It works beautifully as this year's Pantone color of the year ~ Living Coral. 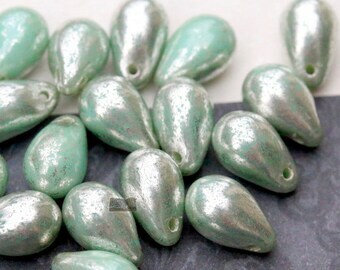 Another great Czech bead classic is the top-drilled Tear drop shape. 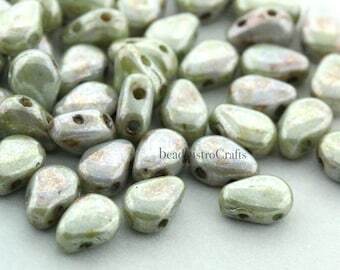 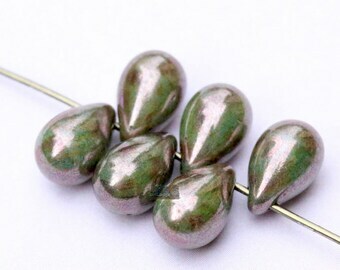 These rounded drop-shaped beads are a great addition to any avid Seed Beader's collection. 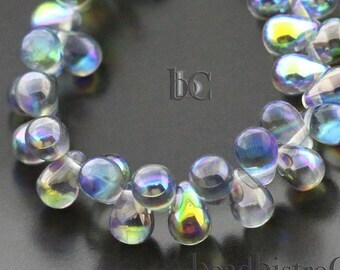 They work well within many bead patterns & they can easily be used on beaded fringe or as an additional texture in a bead embroidery project. 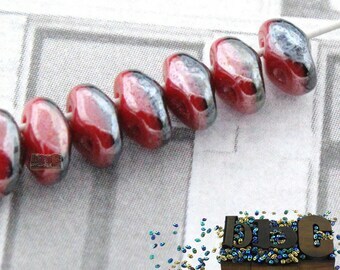 There are even many new patterns out there, which call for these classic Czech beads.